Bridges of Hope Neighborhood Place joins with several community partners to host a day-long forum focused on the rippling effects of addiction on Saturday, May 12. Entitled “Addiction 101: The Ripple Effect of Heroin and Other Drugs”, the event will be held at Dismas Charities at St. Ann’s Center, 1515 Algonquin Pkwy., from 12 – 4 p.m. The purpose of the forum is to bring together individuals and families that are dealing with addiction as well as service providers, community leaders, advocates, nonprofits and other agencies to learn more about what the opioid epidemic looks like in our community, and explore some of the causes and steps that may be taken to combat this epidemic. The event is free and open to the public and will feature presentations from a number of experts and several tables with representatives from agencies ranging from treatment and other supportive services. Louisville, like so many cities across the country, is facing an opioid epidemic that has resulted in thousands of overdoses and hundreds of deaths. According to the recently released Coming Together for Hope Healing and Recovery – a report and plan to address substance use and misuse by Louisville Metro Department of Public Health and Wellness – the age-adjusted drug overdose death rate in Louisville in 2016 was more than double what it was in 2011. Furthermore, substance use disorder and overdose impacts every neighborhood. Vendors will be on hand throughout the event to provide resources and information in the following areas: treatment, counseling, prevention, harm reduction, social services, and family support, as well as the needle exchange mobile unit, a drug deactivation pouches giveaway that safely destroy prescription drugs at home, and Hep A vaccines. 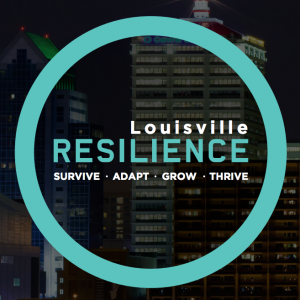 Participating agencies include Louisville Metro Departments of Public Health and Wellness as well as Resilience and Community Services, Neighborhood Place, the Office of Safe and Health Neighborhoods, Centerstone, Dismas and St. Ann’s. For more information about the event, contact Nannette Dix at Nannette.Dix@louisvilleky.gov or 634-6057.